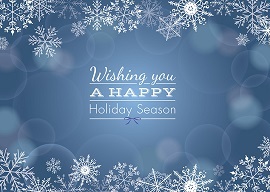 The Employee Assistance Professionals Association Board of Directors, Employee Assistance Certification Commission, and the staff of EAPA offers best wishes for the coming holiday seasons to our members, CEAPs, partners and EA professionals everywhere! As we reflect on the past year, we list in reverse chronological order, the 20 most popular NewsBrief articles of 2016, Part 1. Regular publication of the Newsbrief will resume Tuesday, Jan. 3. Happy New Year! 18. Is cognitive behavioral therapy as effective as clinicians believe?